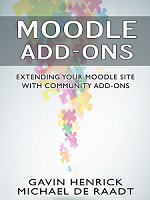 For all you who are enjoying Moodle 2.3 and all the goodies that came with it, HQ have now made available the latest update Moodle 2.3.2. The return of the “check all / uncheck all” which really is helpful when dealing with a very big course in backup/restore. Shortcuts/aliases to Dropbox files now synchronise so if you want to keep a file in Dropbox and reference it in many courses it all works as expected now! The course layout can be set in course defaults. So it is time to get those upgrades planned! I have added my vote. Have thought about doing a post on “some tracker issues that need a vote or two”, must think on that!